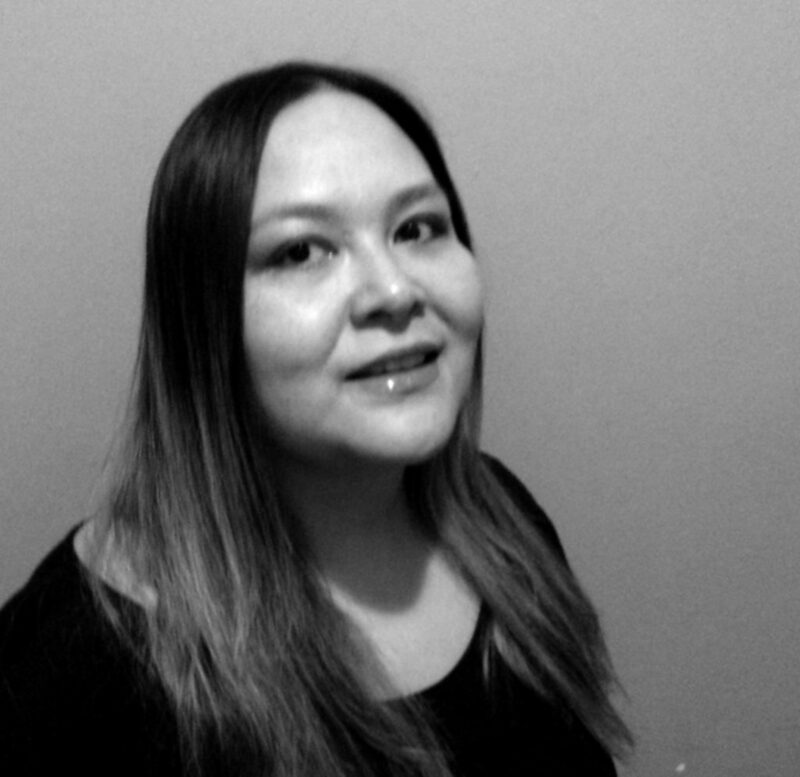 Angele Alook, PhD, is a proud member of the Bigstone Cree Nation, and currently works as a Research Officer with the Alberta Union of Provincial Employees. Angele holds a PhD in Sociology (York University). Her thesis is entitled Indigenous Life Courses: Racialized Gendered Life Scripts and Cultural Identities of Resistance and Resilience. She specializes in Indigenous feminism, life course approaches, Indigenous research methodologies, cultural identity, and the sociology of family and work. She is a co-investigator on the SSHRC-funded Corporate Mapping Project, where she is carrying out research with the Parkland Institute on Indigenous experiences in Alberta’s oil industry and its gendered impact on working families. On the Bigstone Cree: A Vision for the Future project, Angele is researching traditional subsistence practices in her Indigenous community; simultaneously, she is investigating the practices of settler allies who are also stewards of the land in her traditional territory, all while exploring peoples’ relationships to industry in the area. She is interested in synergies and disjunctures between ways of being, knowing and doing on Bigstone lands. She is directing her research toward a just transition of Alberta’s economy and labour force and the impact climate change has on traditional Treaty Eight territory.